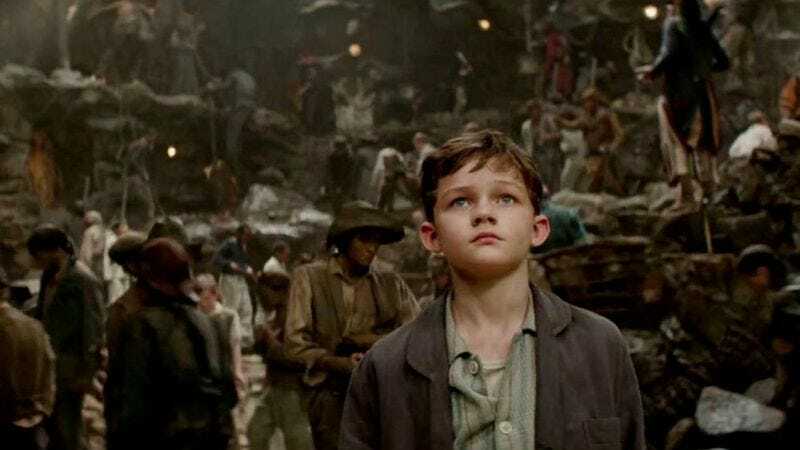 TVLine reports that Levi Miller, star of Joe Wright’s upcoming Pan, has been cast in CBS’ new superhero procedural Supergirl. Miller will portray Carter Grant, the son of Calista Flockhart’s Cat Grant. Carter is described as ““sensitive and shy” and as someone who “couldn’t be more different from his mom,” a woman who built her own media empire. However, TVLine notes that Carter will come out of his shell while being babysat by Kara Zor-El (Melissa Benoist), where he will reveal his “true feelings” for Supergirl and totally not realize that she’s the same person who makes sure he’s in bed by 9:30 on weeknights. Greg Berlanti, executive producer of both Supergirl and Pan, said in a statement that he loved working with Miller so much on the film that he was excited to bring the young actor to the DC Comics universe. According to Berlanti, “He’s an exceptional young actor and a part of the Berlanti Productions family. It will be fun for audiences, who we know will fall in love with him as Peter in Pan … to see his range with his turn as Calista Flockhart’s American son.” Besides the young Australian actor having to put on an American accent, his Supergirl character doesn’t sound like it requires much range at this point. But maybe the show eventually will allow Miller a chance to utilize what he learned on Pan, maybe by letting him sword fight Reactron or clap Supergirl back to life. Supergirl has already been given a series order by CBS and will premiere October 26.